MRI is the acronym for the English word magnetic resonance imaging. MRI scanner is the device which shows the picture of the body parts on the screen which are not visible to the naked eyes. 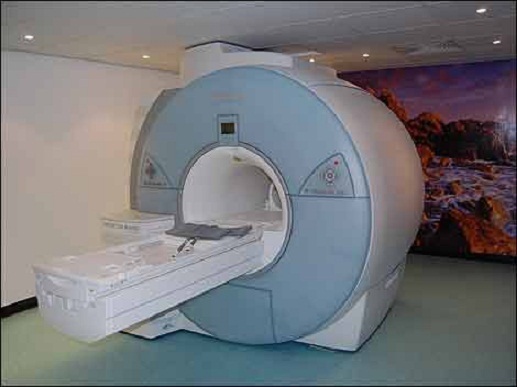 When a person is sent inside the MRI scanner, the person is scanned with powerful magnetic radiations. As a result of this, all the cells come in an order and after that they are positioned to their actual places. Computer which is attached to the scanner observes the radiations. Computer forms the images of the cells in the body and doctors can know the construction and other details from the scanned image.